Printers aren’t the most glamorous purchase, but picking the right one is an important buying decision. It isn’t hard to pick up a printer these days. They are are cheap and ubiquitous, but most come with substantial extra running costs and restrictions, especially around replacement ink cartridges. Here to make sure you don’t buy a lemon we’ve compiled a list of the best printers available for every budget. We conduct a series of tests to compare printers and then rank them accordingly. First, we test print speed. We conduct a five-page test for mono printing and colour, and then run the same test again with a 20-page document, as well as another five-page test of a document that combines mono text with colour images. If a printer takes larger than A4 sizes of paper, then we’ll make sure we test the speed of that too. Then comes quality. We examine how good a printer is in all modes (draft, normal and high quality) for both text and images. We check colour accuracy to make sure photos come out as lifelike as possible, and test a large range of colours to ensure a printer can handle all shades. Printer ink is very expensive, so it’s important to consider print costs. We calculate the cost of ink for a mono print and for a colour one. It could be that you’re better off paying more upfront for a printer as it will end up cheaper in the long run, especially if your demand for printing is high. Finally, we look at all the other aspects: how big is it, how easy is it to set up and use, does it come with special features? We combine all this information together to decide which printer is best. We’d recommend any of the seven printers we’ve chosen here, depending on your needs. Click to read the relevant links below to read the full review of each printer. If you need a printer that can handle A3-size prints, and still do everything else you’d expect of an all-in-one, then the Epson WorkForce WF-7110DTW is ideal. It’s exceptional value for money when you consider its massive feature set. As well as a large-capacity 2220-sheet cartridge and a single-sheet, straight-though feed for extra-thick paper, it also offers good print speeds and quality. With speeds between 11.5ppm and 15.2ppm for mono and 5.7ppm for colour, it’s up there with the fastest inkjets. Page costs of 1.6p and 3.1p are decent too. Photo print quality can’t quite match more dedicated photo printers, but it’s good enough for many uses. 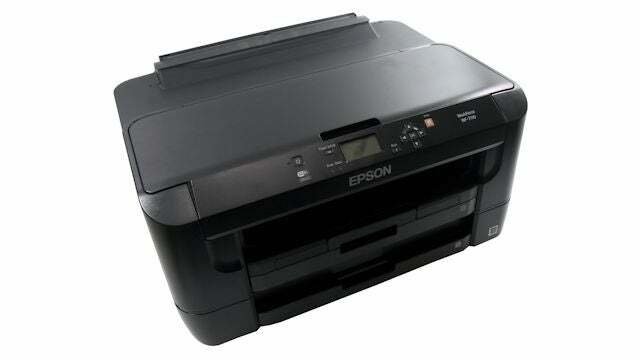 At time of review the Epson WorkForce WF-7110DTW was available for £179. While we awarded the Canon PIXMA TS6050 7/10 in our initial review, prices of this all-in-one printer have dropped to below £100, making it much better value. It may not exactly be rich with features, but with a decent scanner and fine print speeds, it performs well. Text print quality is good, and photos are too. Running costs aren’t bad, either. The £100 price point is competitive, but the PIXMA TS6050 is a solid choice. This printer isn’t the cheapest colour laser around, but the HP Color LaserJet Pro M252dw has several advantages over its rivals, including running costs and duplex print. Pages will set you back 2.8p for black and 10.1p for colour, although we’d prefer a higher-capacity paper tray to the 15-sheet affair on offer. Print quality is generally excellent. Black text comes out crisp and dense, with no spatter, while solid colours are bright and don’t suffer any banding. Colour photos are well detailed, if a little on the dark side. The M252dw looks smart, too, and features a versatile wireless connection. 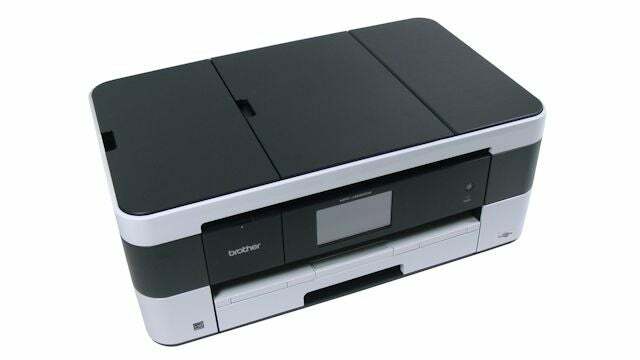 The Brother MFC-J4620DW printer sits in Brother’s range of small office and home office printers and comes with all the features you’d expect of an office machine for a price that’s just over £100 at the moment. 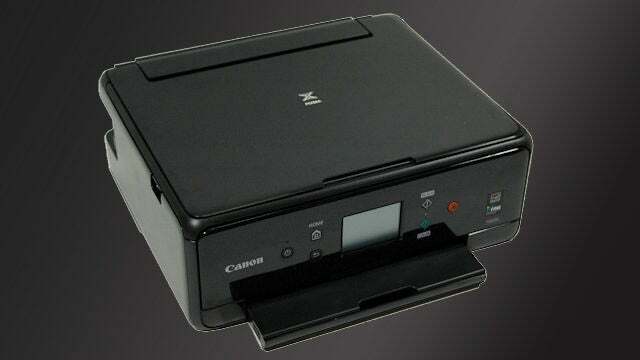 There’s a 20-page automatic document feeder as well as a flat scanner, and you can print directly from cloud storage service such as Dropbox using just the printer, which connects to the internet over Wi-Fi. It’s relatively fast, albeit not the quickest printer around, with a mixed print speed of 7.3ppm in our tests. Things slow down substantially on upping the print quality. Black text is very nicely presented, although colours printed on standard paper don’t look as good as they do on rival printers. Photos on photo paper look great, though, with decent colours and plenty of definition. One thing to note about this printer is that it’s noisy thanks to its “flutter” system to prevent jams. It works, but you definitely know about it. A huge portion of the Epson EcoTank ET-3600’s upfront cost comes from its enormous starting ink supply that runs to 11,000 pages. This isn’t actually a £400 printer; it’s a much more basic printer with a shedload of ink. Given the price has now dropped to under £300, it looks like even better value. As a result, running costs are ludicrously low at just 1.04p per page for mono and 1.43p for colour. If cheap printing is your primary concern, this is a no-brainer. Print quality takes a bit of a back seat, as do extra features. It’s also a bit noisy, but if you’re just after basic printing that’s cheap in the long term, it’s a great choice. For users with bigger printing demands, the Canon Maxify MB2755 is an excellent choice. With a huge ink and paper capacity and decent print speeds, too, it’s a bit of an all-rounder. Advanced features include Wi-Fi connectivity, an ADF (although it’s only single-sided, so you’ll have to manually flip sheets over), and twin paper sources so you can have two different paper stocks in play at any time. 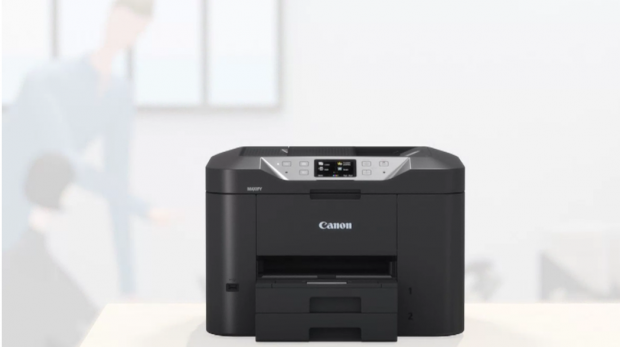 We tested this machine and found it could peak at around 20ppm on mono prints and 6.7ppm for colour; nowhere near as fast as Canon’s claims, but good for the price. Print quality is also superb, with clear and sharp text and vibrant colours on documents and photos. Print costs were nice and low, but higher than Epson’s EcoTank range. 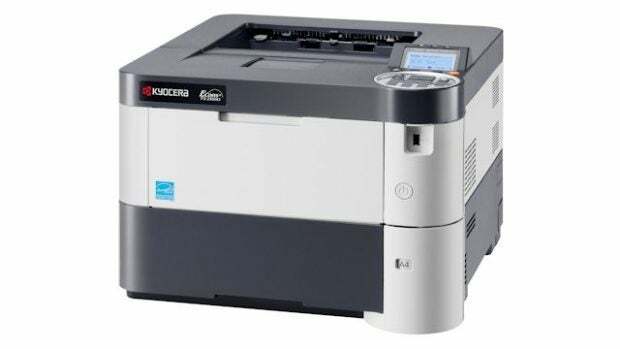 The high-end, workgroup-orientated Kyocera FS-2100DN printer is all about churning out pages as quickly as possible. With a 40ppm claimed print speed and an impressive 32.4ppm in our tests, it clearly has what it takes. What’s more, it has full-auto duplex, a lifetime drum and a huge 12,000-page toner cartridge. This also helps to keep the cost per page to just 1.37p (assuming a 0.7p charge for paper). All this and the printer can also be stacked on top of multiple paper trays, so you can have all sorts of paper types ready to go. That’s the end of our list of best printers to buy right now. If you’re still unsure what’s right for you, we’ve put together a guide to buying a printer below. Printing is very much still alive, as is demonstrated by the sheer variety of printers you can buy these days. There’s something for every budget, with our cheapest printer here starting at just £35. You get what you pay for, however, so as prices increase, so do the number of features. As you’ll see from our buying guide, you can mix and match the features you want and usually get a great deal. There isn’t a lot a £100 printer can’t do, so above that point you’re getting into specialist territory with exceptional print quality and more unusual features. 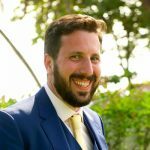 In recent years, we’ve also seen the rise of printer ink subscription services that, if you print frequently, are better value than buying ink when you run out, so this is worth bearing in mind. Read on to see what turns a good printer into a great one, and how to choose the best printer for your needs. With laser, the powdered ink (toner) is essentially melted into the paper, which makes it far more resilient and resistant to running. Laser printers are also far quicker once they’ve warmed up, so are better suited to high-volume work. The downside is that they’re more expensive than inkjets, especially if you’re after a model that can print in colour. While you can pick up a colour inkjet for less than £30, you’ll struggle to find a colour laser printer for less than £100. Also, the quality of colour laser prints isn’t a patch on inkjet. As such, colour lasers aren’t really any good for photos, but rather are useful for printing documents with colour charts and the like. A new tweak on the laser printer is the LED printer, which works in essentially the same way but replaces the laser with an LED. As for inkjets, their big advantage is that colour models are available for pretty reasonable prices, and even the cheap ones are capable of printing decent photos. So if you’re looking to purchase only one printer for all your household needs, then an inkjet remains the best bet. Modern inkjets are also significantly faster than ever before. The past few years has seen a rise in the market of office-orientated inkjets, which can print reasonably quickly without foregoing print quality. Finally, there are also the very latest models that use a paper-width print head, rather than a small print head that scans back and forth. Only available in high-end machines, they’re ideal for those demanding really high print speeds and top-notch quality. Ink types – Inkjets also come in a number of different types, with different jet technologies (piezo or thermal) and ink types (aqueous dye and pigment, solvent, UV-curable and dye sublimation). However, what will matter for most home and small-business buyers is the distinction between dye and pigment-based inks. Dye-based inks tend to be cheaper and produce good-quality prints, but they’re prone to fading with exposure to UV light. As with all aqueous (water-based) inks, they’ll also run if wet. While pigment-based inks will also run if wet, they don’t fade as quickly. As such, they’re sometimes marketed as “archival quality”, and they’re often more expensive too. The complication here is that it isn’t always clear what type of printer uses what type of ink. For the most part, most black inks are pigmented, while most colours are dye-based. However, high-end photo printers will use only pigment-based inks to ensure long-lasting prints. Print heads – Another thing to look out for with inkjets is whether the replacement cartridge includes the print head or whether it’s only the ink. With the former, there’s the advantage of ensuring that you get a new print head with every cartridge change. However, such cartridges tend to be more expensive. Cartridges that are just the ink are cheaper, but with this comes the risk that the fixed print head in the printer will eventually clog up and image quality will drop as a result. In fact, you also need to consider that the head might eventually fail completely. Canon, HP and Lexmark mostly uses cartridges with new print heads, while Epson models tend to use fixed print heads. 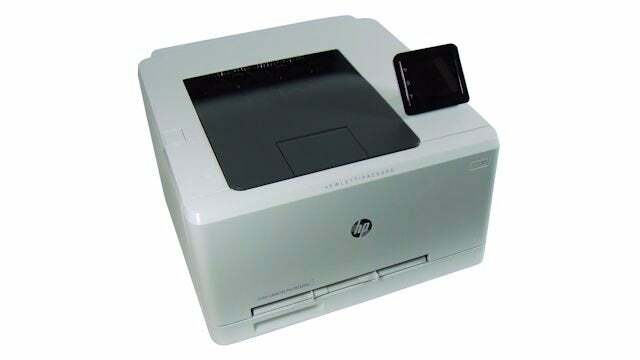 Dedicated photo printers – While normal inkjets can print pretty decent-quality photos, they have their limitations. As such, there are also more specialised printers available on the market. These use more than the usual four inks (black, cyan, magenta and yellow), with the extra shades allowing for finer colour gradations and punchier colours. Inevitably, such printers are more expensive up front, but they can be cheaper in the long run, since they tend to have larger-capacity print cartridges. So, if photo printing is high on your priority list then they’re definitely worth considering. All-in-one? – Once you’ve chosen the type of printer you want, the next question to ask is whether you want it to be anything more than just a printer. While there are a number of miscellaneous extra features that certain models may feature, the three big ones are duplex, scanning and fax. Duplex is where the printer can print on both sides of the paper, so you don’t have to manually print only the odd pages then return the paper to the paper tray to print only the even pages. Some printers have duplex built in, while many offer it as an add-on. Either way, it tends to be a feature that’s available only on the higher-end models. 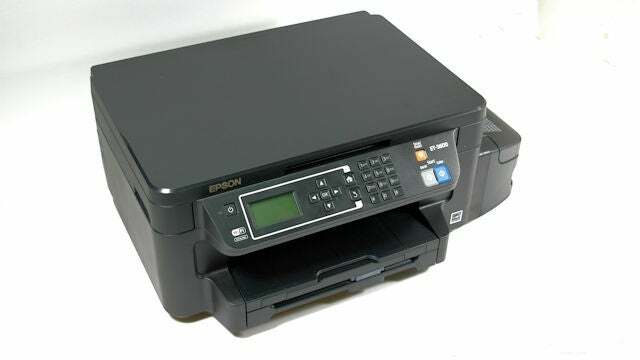 As for scanning and faxing, they tend to appear together in what are dubbed “all-in-one” printers. The scanner can either be a flatbed type that allows you to scan anything, from books to bottoms, or sheet-fed models where you can feed in only fairly thin materials such as single sheets of paper. Along with a basic scan facility, such printers may also have a “photocopy” mode. Due to their scanning abilities, many all-in-ones also include a fax facility, allowing you to scan and send off documents directly, without the need for a computer at all. Extra features – The single most useful extra on a printer is network connectivity, whether that be via a cable (Ethernet) or Wi-Fi. That said, many routers these days include a printer server facility that allows you to plug any USB printer into the router and have it share the printer throughout your home network. Whichever way you make it work, it’s really convenient to be able to print from any computer in the home. Another feature to look out for is a card reader. These allow you to print directly from the memory card from your camera. Many of us prefer to tweak photos before printing them, but if that doesn’t interest you then a built-in reader is an easy way to speed things up. Also, some printers can even talk directly to certain cameras via the PictBridge standard. Paper size – The vast majority of printers for home and small business deal only in A4 paper or smaller, so those wishing to print on larger paper will have to seek out such functionality. Even then, most larger-format printers still only go up to A3 size, with even larger sizes requiring you to invest in serious high-end machines. Not surprisingly, the larger paper format means that A3-capable printers are more expensive, although it’s still possible to pick one up for as little as £50. Paper type – A final bit of general advice for printers is to ensure that you buy paper that’s appropriate for what you’re printing. The basic stuff will do fine for churning out numerous black-and-white pages, but if you’re planning to send out CVs, for example, then it’s worth using decent, thicker paper. Meanwhile, photo-printing will only work well on proper, glossy photo paper. What’s more, it’s worth buying the right paper for your type of printer ink, too (manufacturers often recommend paper), since the paper is actually formulated to match the combination of ink types used in that printer.